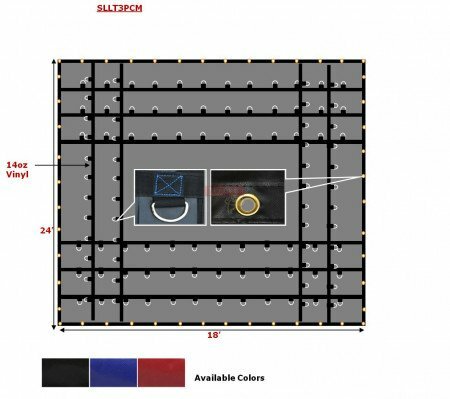 Super Light 14 Oz Steel Tarp is available in size 20' x 18'. 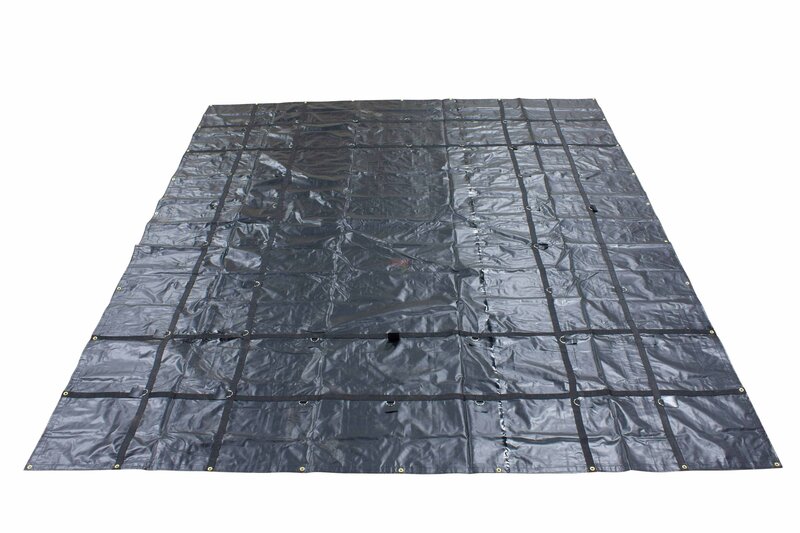 The fabric of this steel tarp is made of Made with Heavy Duty 14 Oz. Vinyl. Heat-sealed seams with stitched webbing and box stitched D-Rings. All hems re-enforced with 2"" webbing and double stitched for extra strength. In this steel tarp Tough solid toothed brass grommets clinched every 2 Feet. The weight of this machinery tarp is 40 Lbs. Super Light 14 Oz Steel Tarp available in black color.